How Do VPNs Work and How do I Become Anonymous on the internet? A virtual private network is set up using dedicated connections and encryption protocols to generate virtual P2P (peer-to-peer) connections. So think of it as a private network within your internet connection. You are usually required to download the client software so it will connect to the servers for you. A VPN service these days uses servers based in different countries (which can be chosen by the end user) to connect to, thus masking their IP address making it appear as if their location was in the country of the chosen server. This is one of the reasons why VPNs are popular. They can circumvent restricted web access making it possible to view content not normally available. It has been used in a number of countries where free speech has been under tight control and through the use of social media platforms such as Twitter has provided the rest of the world with information regarding some hefty political and social changes within these regions. The rest of us however, use VPNs to watch either BBC iPlayer (if you're in North America) or Hulu and other video streaming services (if you're in Europe), use file-sharing platforms like BitTorrent (which are constantly being monitored just waiting for you to share that copy of Baywatch: The Movie with someone else so they can send you a copyright infringement love letter or prosecute you with ridiculous fines), or just prevent monitoring and data collection by prying eyes like your Internet Service Provider or the NSA/CIA/GCHQ, etc. Side Note: When a VPN service says it is "P2P-Friendly" it is usually referring to it's allowed use of peer-to-peer file sharing protocols like BitTorrent. 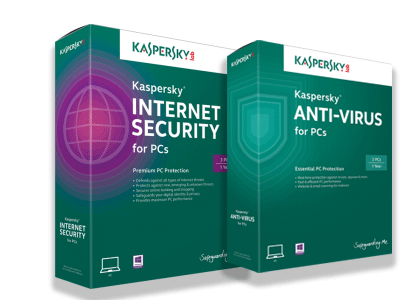 I use a VPN to connect to my office, will this work the same as a subscription service? It is the same technology, but no, it is not the same as a VPN anonymizing service such as the ones below which are used to connect securely to somebody else's gateway (the host of the service itself), which then get you to the broader internet, trusting that they will have no monitoring of that connection. So of course, trust is the key here. 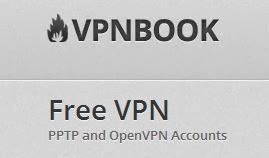 There is a whole host of VPN client software available now, paid for and free ones. Paid for client software usually has a better connection which is faster, more secure and doesn't keep logs of your activity. However the policies and terms and conditions of each client varies so check them before you commit to a service. As mentioned earlier you download the client software to connect to their servers, and is really easy to configure. Most of it is done for you with a simple installer that handles the technical set up. In most cases, you simply create an account username and password to log on to the service and the client software connects you. Because running a VPN service costs a fair amount of money, "free" always comes with a "but" on the internet, usually the trade-off is that the service doesn't cost anything but you're targeted with ads or other ways for a service to make money from your use of the service, so these are either limited in their service scope or ad-supported. Why Opera? Isn't that a web browser? Yes, a great web browser with a free, built-in VPN you can enable! Perfectly legal. Technically speaking, it is very common to be bounced outside of the US when connecting to the world wide web, in some instances, there is no way you cannot connect to a server outside your own country these days (apart from the DPRK who have built their own 'internet' or a country like China which filters outbound traffic and blocks many non-Chinese sites and servers). It is all done on public lines. Using a VPN anonymizing service is comparable to using a calling card (if you remember those 😊), you dial a number and THEY handle connecting and maintaining the call, not your own phone service, in fact calling cards are/were used to anonymize people's phone calls to some extent. As with most technology, it can be used for good or evil. Using a VPN service, you can do almost anything illegal you could have done without one. But don't do anything illegal, it makes it really hard for you to read more of our posts if you're in prison. And computer crimes have INSANE and unbelievably outrageous repercussions. Now that you're totally excited about the idea of using a VPN service because of our elated and raucous explanations of what they are and just can't wait to go get one, check out our detailed breakdown of the best VPN services available! If you have any questions regarding the use of VPNs or how to install/use client software feel free to contact us below, we can get you up and running and answer your questions. Speaking of security, why not download our free guide to email security.